The 2018 GBSN Teaching Entrepreneurship summit was a great success. 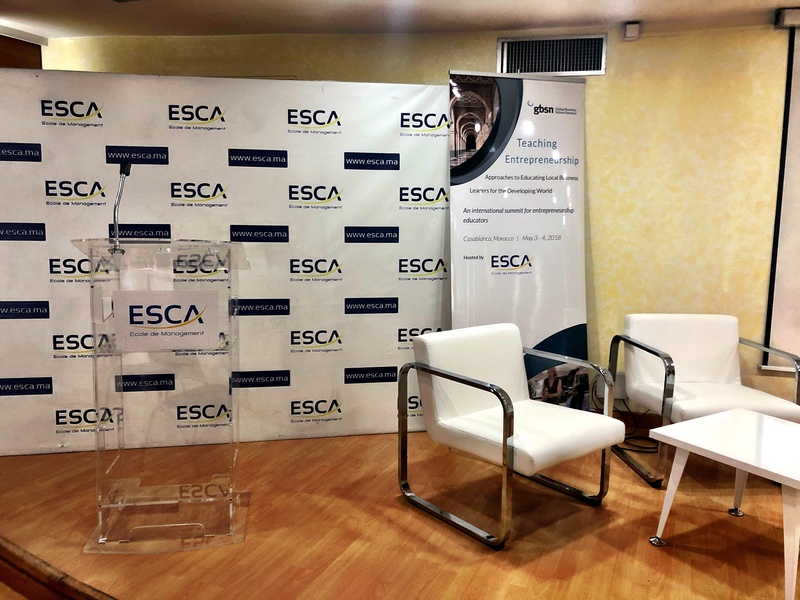 Over 50 leaders in business education and industry gathered in Casablanca, Morocco to participate in a summit on “Teaching Entrepreneurship: Approaches to Educating Local Business Leaders for the Developing World” hosted by ESCA Ecole de Management. ESCA Ecole de Management is a State-Recognized Business School, located in the heart of the business district of Casablanca, the Economic Capital of Morocco. It educates each year more than 1,100 students, executives and managers from 29 different nationalities. It has currently 94 international academic partners from 47 countries in 5 continents. In accordance with its mission, ESCA Ecole de Management research activities aim at developing and promoting knowledge on fields like Geopolitics/Geo-economics, Innovation and Entrepreneurship in emerging markets, Sustainable Development and Social Innovations. The School is ranked 1st in Morocco by Eduniversal 2017 and 1st in French speaking countries in Africa by Jeune Afrique n°2806.